Veneto includes the eastern part of the Po Valley and, to the north, a part of the Dolomites. Venice ruled for centuries over one of the largest and richest maritime republics and trade empires in the world. After the Napoleonic Wars and the Congress of Vienna, the Republic was annexed by the Austrian Empire, until it was ceded to the Kingdom of Italy in 1866, as a result of the Third Italian War of Independence. Besides Italian, most inhabitants also speak Venetian. 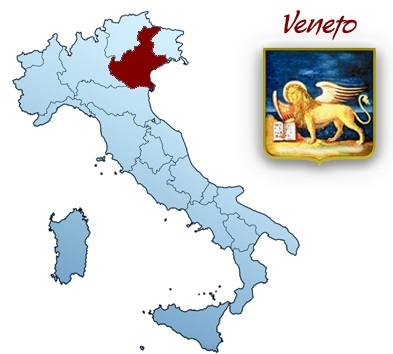 Veneto is, today, one of the greatest immigrant-receiving regions in the country, the most recent of whom are Romanian, Moroccan and Albanian. 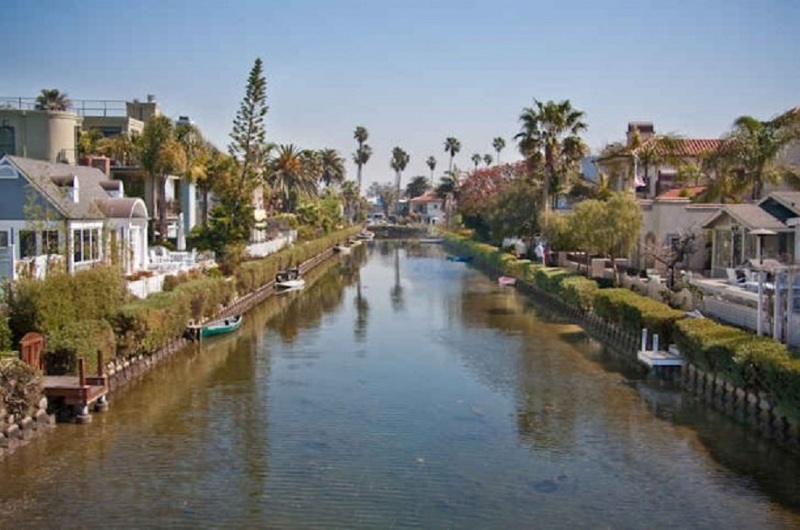 The regional capital is Venice. Other important cities are: Verona, Padua, Vicenza, Treviso, Rovigo and Belluno. Numerous and important Roman traces can be found in this region: the best known example is the Arena of Verona. In the area around Venice, Byzantine influences are visible (St. Mark and the Cathedral of Torcello) and there are many outstanding examples of Romanesque and Gothic art. The Renaissance palaces are still numerous. In Venice, the Academy Galleries house the major collections of Venetian paintings from the years 1300 to 1700; while the Guggenheim collection exhibits international works of contemporary art, as does the National Gallery of Modern Art. The Correr Museum is reserved for the Renaissance masterpieces. In Verona, the Civic Museum of Art, is devoted to Verona painters. Padua has the famous Scrovegni Chapel with its Giotto’s frescoes, the Civic Museum and the Botanic Garden, the oldest in Europe. 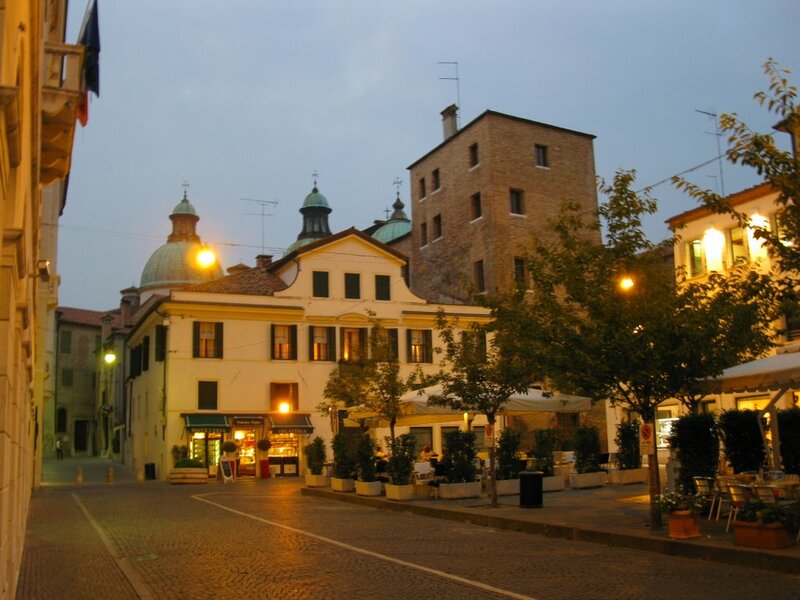 In Treviso, there is the Museum of the Casa Trevigiana with its modern furniture and sculptures. 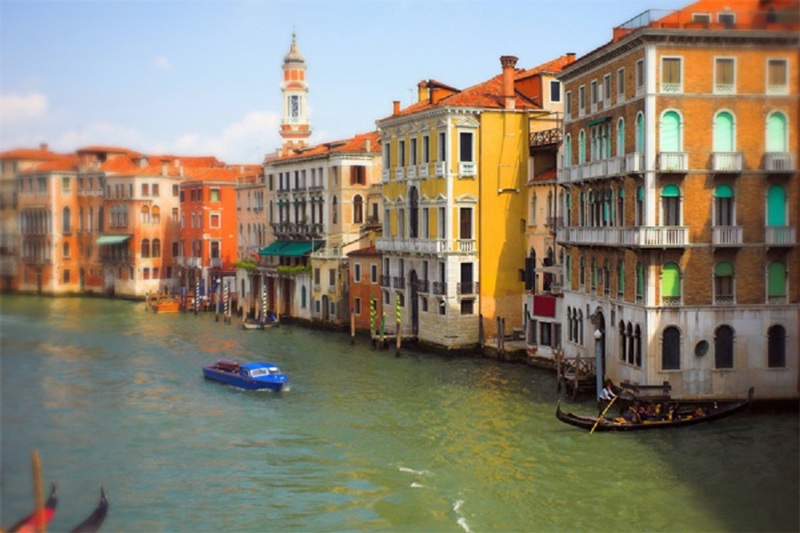 Take a tour of Veneto via the video below. Cuisine is a very integral part of the culture of Veneto and the region is home to some of the most recognizable dishes, desserts and wines in Italian, European and World cuisine. 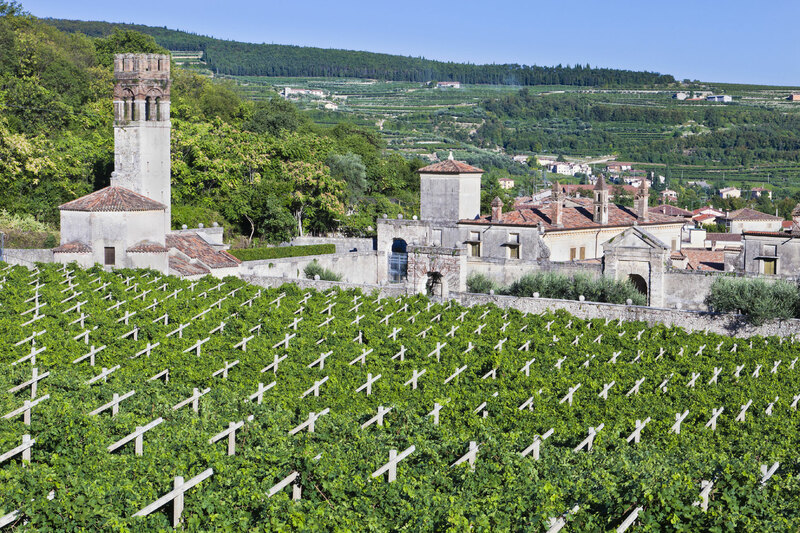 Veneto is an important wine-growing area and produces: Soave, Bardolino, Recioto, Amarone, Torcolato, Prosecco, Tocai Rosso, Garganega, Valpolicella, Verduzzo, Raboso, Moscato, Cabernet Franc, Pinot Nero, Pinot Grigio, and Merlot varietals. Homemade wine making is widespread. After making wine, the alcohol of the pressed grapes is distilled to produce grappa or graspa, as it is called in the local language. Prosecco is a dry sparkling wine. It is made from a variety of white grapes of the same name, which is traditionally grown in an area near Conegliano and Valdobbiadene, in the hills north of Treviso. The name, Prosecco, is derived from the northern Italian village of Prosecco, where this grape variety is believed to have originated. Around the holidays, I like to make pre-dinner drinks with Prosecco and different fruit flavors. My family looks forward to this special drink. Spritz, in the Venetian language also called “spriss” or “spriseto” depending on the area, usually consists of 1/3 sparkling wine and 2/3 Aperol. Campari or gin may also be used. The cheeses of Veneto include: Asiago (PDO), Piave (PDO), Monte Veronese (PDO), Morlacco and Grana Padano (PDO). The sopressa vicentina (PDO) is an aged salami, cylindrical in shape and prepared with raw, quality pork meat. It may or may not include garlic in its ingredients and comes in medium and large sizes. Prosciutto Veneto Berico-Euganeo (PDO) is obtained from the fresh meat of a top breed of adult hogs. The aroma is delicate, sweet and fragrant. Radicchio rosso di Treviso (PGI) is a vegetable with a faintly bitter taste and a crunchy texture. The production area encompasses many town districts in the provinces of Treviso, Padua and Venice. 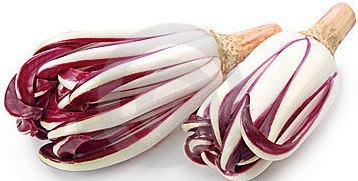 The radicchio, Variegata di Castelfranco (PGI, has a delicate and slightly sweet taste and a crunchy texture. Veronese Vialone Nano Rice from Verona (PGI) is a type of rice with short, plump grains, which have a creamy consistency when cooked. They are commonly used in risotto dishes and have a high starch content. The Bean of Lamon (PGI) is particularly prized for its delicate flavor and extremely tender skin. The White Asparagus of Cimadolmo (PGI) has a characteristic scent and a very delicate taste. The White Asparagus of Bassano is a typical product of the northern part of the province of Vicenza. The San Zeno di Montagna (Verona) chestnut has Protected Geographical Status. Tiramisù (a dessert made from mascarpone, coffee, Marsala wine, savoiardi and chocolate) originates from Veneto. Veneto is also home to a golden sweet bread, called Pandoro. This bread is produced in and around Verona according to an ancient recipe. Scalete, Pàndolo and Baicoli are all traditional sweets of the city. The Italian phrase “fritto misto” roughly translates as “mixed fry,” and it encompasses all sorts of fried foods: meats such as sweetbreads, vegetables and even desserts. But in Venice the term almost always applies to the city’s famous frutti di mare—fruits of the sea. The chefs of Venice’s restaurants and cafés feel that frying is one of the best ways to showcase the impeccably fresh fish and seafood from the Adriatic Sea. 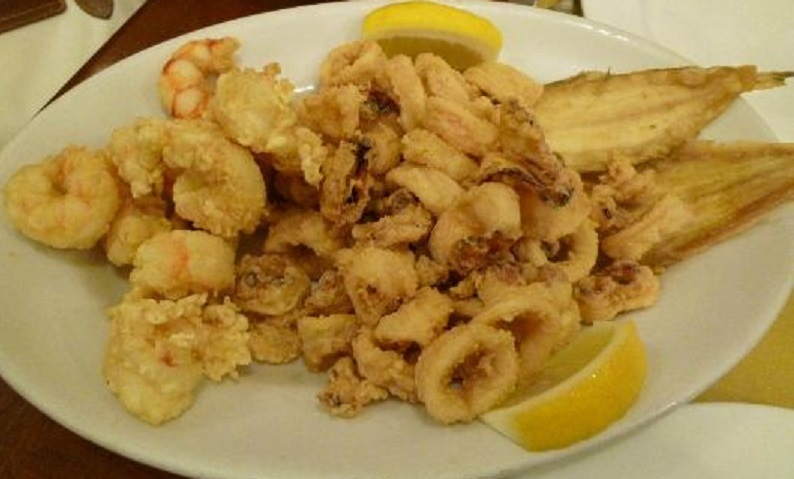 In Italy, fritto misto is nearly always served as a first course. In Veneto, bite-size pieces of fish, fried and served with a squirt of lemon juice are a very popular antipasto. A Venetian fritto is rarely vegetarian, given the city’s available fish. Consequently, you can sample all manner of fresh tiny fish, miniature soft-shell crabs, shrimp and many more. Natives stop by a trattoria at sunset for a plateful; then stroll for a while before dinner. To serve 6, you will need about 4 pounds of fish. Here are some suggestions: fresh sardines, anchovies, baby squid, baby cuttlefish, small crabs, shrimp and other assorted shellfish, tiny whiting, sole or whatever else you would like to include. Make the batter: Put the flour and salt in a small bowl and gradually whisk in the wine to obtain a smooth, lump free mixture. Rest 30 minutes. Add seltzer just before frying. Near the stove, put the seasoned dredging flour in a shallow bowl. Place the finished batter next to it and an empty plate next to that. Put fish and other ingredients for frying and a paper towel lined baking sheet nearby. Put oil in a large wide, deep pot and fasten a candy thermometer to the side. Heat oil to 375 degrees F.
Working in small batches, dip a few pieces of fish, first into the seasoned flour to coat lightly, then into the batter. Put battered pieces on the empty plate. Remove pieces of batter from the oil between batches with a fine meshed skimmer. The delicate flavor of the béchamel contrasts with the bitter taste of the radicchio, making a balanced and delicious dish. In a small saucepan, melt the butter without letting it brown. Then remove it from the heat and let cool. Reserve 2 tablespoons for brushing the pan and add the remainder to the bowl where you will mix the crepe batter. Add the flour, eggs and a pinch of salt in the bowl with the melted butter. Whisk together until you have a smooth, fairly dense batter. Add the milk, slowly, while whisking. You should have a smooth batter without lumps. Let rest for 20 minutes. Heat a nonstick pan or crepe griddle. Once hot, brush the pan with the reserved melted butter. Use a ladle to add enough batter to cover the entire pan. Try to make the thickness even across the pan. When the crepe begins to separate itself from the pan, flip the crepe quickly using a spatula and cook the other side. Once you have cooked both sides, place the crepe on a kitchen towel or on paper towels. Continue making crepes until you have finished the batter. Let cool slightly before filling. Put a fairly large pot over low heat. Add the butter and let it melt. Be careful not to burn or brown it. Sift the flour and add it to the butter with the salt. Mix using a whisk to make a smooth, uniform mixture, known as a roux. Continue cooking the roux until it is slightly golden, while whisking. Add the milk and broth to the roux, a little at a time, and mix with a whisk. Be careful not to let any lumps form. Bring the sauce to a boil and continue cooking to thicken it. Remove the pot from the heat. In the meantime, wash and cut the radicchio into very small pieces. Add the oil to a sauté pan and heat. Once hot, add the radicchio, salt, pepper, garlic and a little bit of white wine. Sauté for a couple of minutes. Then add the egg yolks, Fontina cheese and the sautéed radicchio. Place a layer of crepes in a baking dish and cover with some of the radicchio sauce; repeat the layers ending with a layer of crepes. Sprinkle the top with grated Parmigiano Reggiano cheese. Bake in a 425°F oven for 15 minutes. 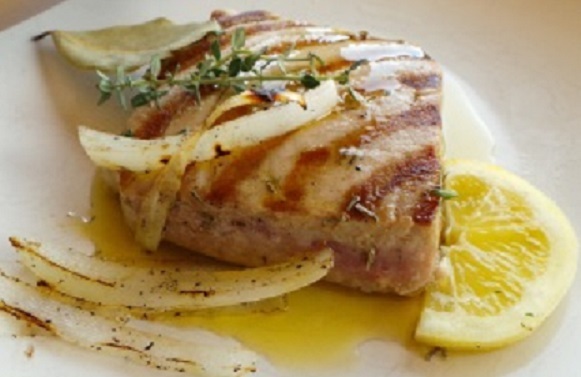 This is an old Venetian recipe for grilled tuna. Place the tuna steaks in a 9 x 12-inch ceramic or glass baking pan and add the olive oil, white wine, onion, parsley, thyme, bay leaf and season with salt and pepper. Marinate in the refrigerator, covered, for 2 hours, turning once. Remove the fish from the refrigerator 15 minutes before grilling. Prepare a hot charcoal fire or preheat a gas grill for 15 minutes on high. You may also use a stovetop grill pan. Remove the tuna from the marinade and place on the grill. Cook, basting with olive oil and turning only once, until deep black grid marks appear, about 3 1/2 minutes on each side. In a mortar, pound the anchovy fillets, garlic and parsley with a pestle until a pest . Slowly pound in the olive oil and lemon juice. Pour the sauce over the grilled tuna and serve with additional lemon wedges. Zaleti” means “little yellow things” in the Veneto dialect. 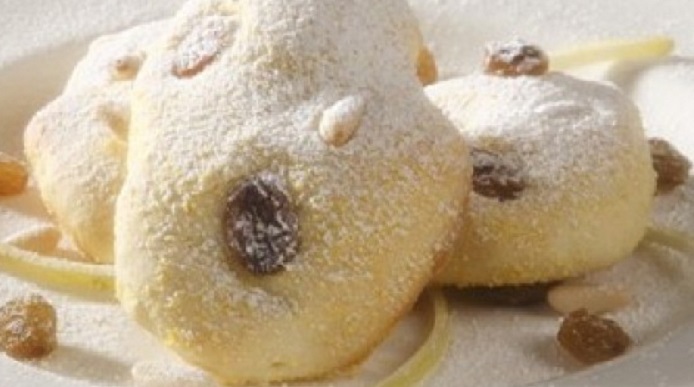 Zaleti are a traditional cookie from the Veneto region. They are often enjoyed together with a glass of sparkling, aromatic wine like Prosecco della Valdobbiadene. Zaleti, a rustic type of cookie once served only during the Carnival season, are now available year round. Like all rustic, farmhouse recipes, zaleti can be prepared in many ways. Each home cook had her own recipe and would prepare the cookies using the ingredients she had available. The peculiar characteristic of these cookies is their yellow color, which comes from the corn flour – an ingredient present in all of the farmhouses in centuries past – that is used in the batter. Carlo Goldoni mentions the cookies in his 1749 book “La Buona Moglie”. Mix the cornmeal, flour, salt and baking powder together. With an electric mixer beat the butter and sugar together. Beat in the eggs, one at a time. Add the flour mixture and beat until smooth. Add the drained raisins, pine nuts, milk, grated lemon zest and vanilla and mix well. With your hands, shape the mixture into small oval cakes about 3.2 inches long. Place them onto a lightly buttered baking sheet. Bake for 15-20 minute. The baking time can vary according to the size of the “zaleti”.